“The offer is the airline's biggest asset.” ~Jim Davidson, CEO, Farelogix. Traditionally, airlines create products at static price points in the PSS, and then distribute them through different channels via the PSS/GDS. A couple of years ago, IATA got airlines thinking differently when it introduced New Distribution Capability (NDC) and the concept of the ‘offer’. With NDC, when an airline receives a ‘request’ from a customer, it responds by dynamically creating and pricing a personalized ‘offer’ made up of flights and ancillary products. It then presents the ‘offer’ to the customer. Initially NDC framed the ‘request’ and ‘offer’ as coming via the travel agent or Travel Management Company (TMC) channel. We now we think of the ‘request’ in broader terms. The ‘request’ can come through any channel or touchpoint. It can also be explicit (e.g. a request through the agent or an online search) or implicit (i.e. figured out from various data inputs). The airline then dynamically creates a personalized offer that meets the customer’s need and the commercial imperatives of the airline. Source: Jim Davidson, Farelogix Pre-Conference Workshop, Aviation Festival 2017. Still wondering why the offer is important? It boils down to two things – more revenue for the airline and happier customers. The better the airline gets at predicting what a customer needs (and wants), the easier it will be to satisfy more of that need, and earn more money in the process. Another bonus is that the airline will be able to better manage its product inventory. “Dynamic Pricing will require the ability to conceivably create and publish endless prices/offers in a frictionless manner tailored to a customer of one.” ~Henry H. Harteveldt, Atmosphere Research. Modify ATPCO fares: Begin with the base price and apply a discount based on variables such as load factor. Build from Market Price or Bid Price: Begin with the Market Price from the Revenue Management (RM) system and apply a mark-up based on factors like carrying cost, load factor, and channel. Build Personalized Bundles: Begin with Market Price and add value to the fare with ancillaries that the customer will find compelling, like premium seat, priority boarding, and first bag free. 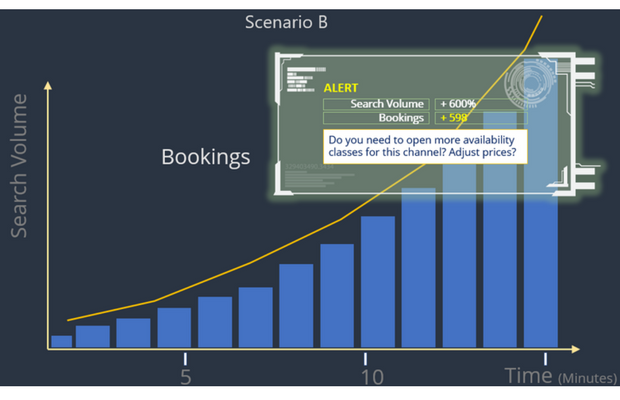 React to Market Changes: Adjust a base price depending on unusual search and/or booking data. In today’s hyper-connected world, customer relationships are key to establishing loyalty and trust. It’s important that an offer be consistent whether the customer is talking to an agent, on a meta-search site, visiting airline.com, or even asking Amazon Alexa. To ensure this happens, the airline must create and control the offer, and become the ‘single source of truth’ – another concept at the heart of NDC. That way, the customer can trust that the fare they are offered is the best value for them, regardless of channel. “Multiple searches can result in a $12 difference in the offer. Becoming the Single Source of Truth solves this problem.” ~Jim Davidson, CEO, Farelogix. Legacy technology and processes are the biggest obstacle to airline offer creation and control. This is because data is not integrated with the pricing engine; control of the offer is outsourced to the PSS or GDS; and there’s no dynamic pricing. With modern technology for airline commerce, it’s now possible for the airline to move offer creation away from the PSS/GDS and gain control of all aspects of the offer, including scheduling, availability, pricing, and merchandising. 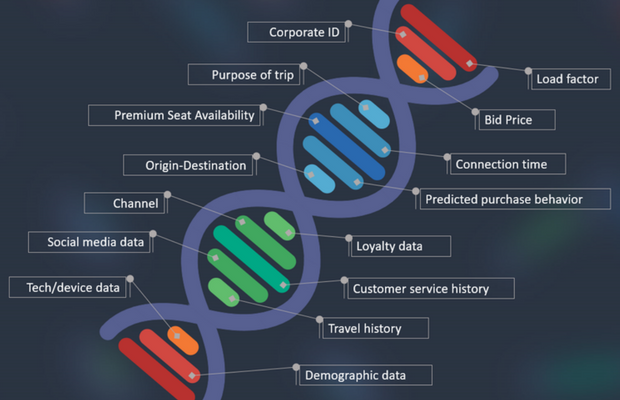 With airlines in control, Revenue Managers will be empowered to create offers based on market and bid price, be able to expand product availability to stages further in the customer journey, and dynamically adjust the offer based on data inputs. In short, Revenue Management will become a hot-bed of innovation. This is the route to happier customers and more revenue. Want To Learn More About This Technology? Farelogix Airline Commerce Gateway powers airline-controlled distribution, shopping, pricing, merchandising, and retailing across channels. Our technology is used by some of the world’s biggest airlines like American Airlines, Delta, Emirates, Lufthansa, United and many more. For more information, arrange a quick consultation with a member of our commercial team by emailing sales@farelogix.com.